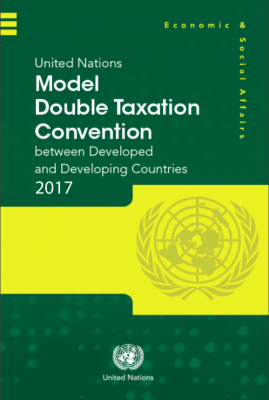 During the UN Economic and Social Council meeting in New York on May 19th the long-awaited 2017 update to the United Nations Model Double Taxation Convention between Developed and Developing Countries was finally released. The previous model tax treaty stemmed from 2011 and the new treaty with its commentary will reflect the changes approved in April 2017 by the UN Committee of Experts on International Cooperation in Tax Matters. The new UN model incorporates virtually all the changes made to the 2017 OECD model tax convention by the OECD/G20 base erosion profit shifting (BEPS) plan, including adding a principal purpose test and limitation on benefits test to counter tax treaty shopping. This new treaty is a good step forward from the last, but of course there's always room for improvement. For more in-depth notes provided by Steve Towers, an international tax partner at Deloitte, please read this article, written by Julie Martin.